"The ability of DADiSP to automate the bulk of the signal processing...contributed to tremendous savings in manpower." The Queensland Electricity Commission investigates and locates problems in the power systems of Australia. A new power system for a coal mining railway in Queensland met with problems when the filter capacitors used to control the power supply quality mysteriously failed catastrophically. The cause was a large sixth harmonic (300 Hz) resonance condition set up between a 50 kV railway supply harmonic filter and the power system. 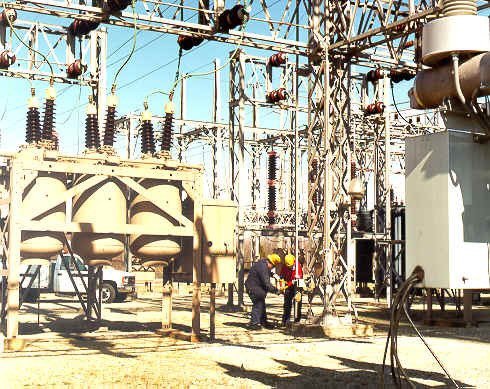 Not only did this failure result in major financial problems, it also posed a challenging problem to the resident power transmission engineers. 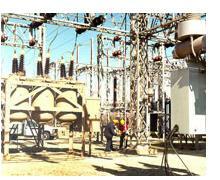 Power utilities worldwide experience problems related to harmonic distortion of voltage waveforms. A non-linear element will cause a non-sinusoidal current to be drawn from the power supply, which can lead to capacitor failures and interference with communication circuits - not to mention catastrophic failures. To ensure adequate quality of supply, utilities try to keep harmonic distortion below levels specified by published standards, such as the Australian Standard 2279 and the American IEEE 519 Standard. If the levels specified in the standard are exceeded - even if nothing fails - field investigations are performed to locate offending harmonic sources. These investigations require a combination of power engineering and signal analysis skills, and tools to match.